Savage Codes is argentinean game studio, founded by Gardeazabal Sergio , creator and main developer of Airburner. Started as a Cloud Hosting and WordPress development services provider, four years ago in 2015, with the goal of invest the profit into the development of exciting digital experiences and the tools that power them. 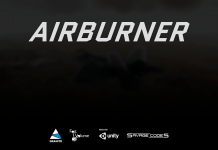 Today in 2019 , with the development of Airburner going on rails and with the development of several tools that made it possible, Savage Codes take the big step and focus all his resources into game development, discontinuing the web hosting & web development services. This was an scary and exciting step at the same time, but worth it. Because at the end of the day, we are making what we love and we do it with passion. Develop new technologies that combined are the ideal platform for the creation of new Interactive, Immersive and Transmedia Experiences. Being a leader for innovation in each area of work in which we are involved, changed the world one line of code at a time.